How Many Hats are You Wearing Today? With IBS, you only need one. Ours. 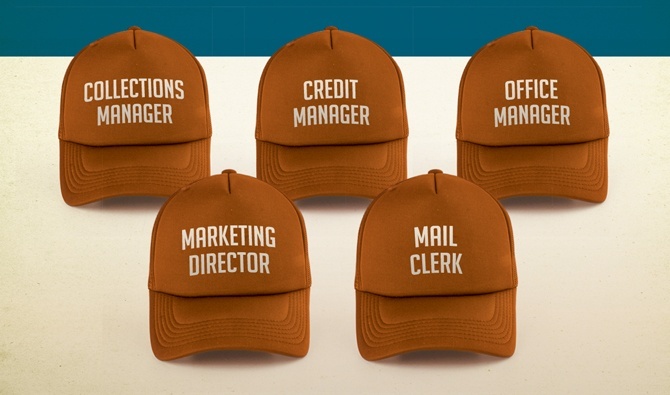 As the leading accounts receivable service for America's truck dealerships, we know that most dealers and managers wear lots of hats. You're the Human Resources department. You're the Service Manager. You're a Salesperson and an Accountant. On top of that, you're simply trying to manage and grow your business. Partnering with IBS gives you one point of contact for all of these services. Plus, you have 24/7 online access to all of your customers' invoices and pay histories. According to American Truck Dealers, medium- and heavy-duty truck dealerships sold nearly 450,000 trucks, wrote more than 14 million repair orders, and generated $39 billion in service and parts sales in 2015. Wouldn't you rather focus on growing those numbers instead of worrying about your accounts receivable?